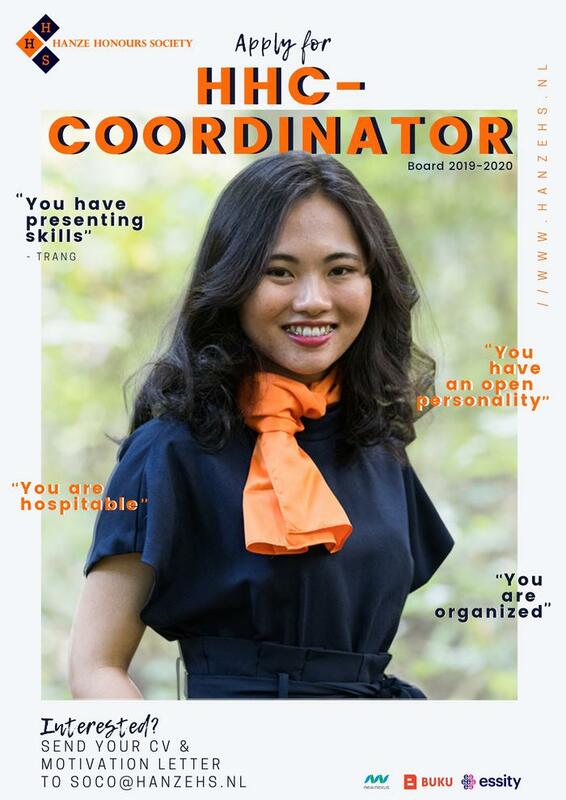 Apply for the board 2019-2020! Do you want to boost yourself and the Honours Community? 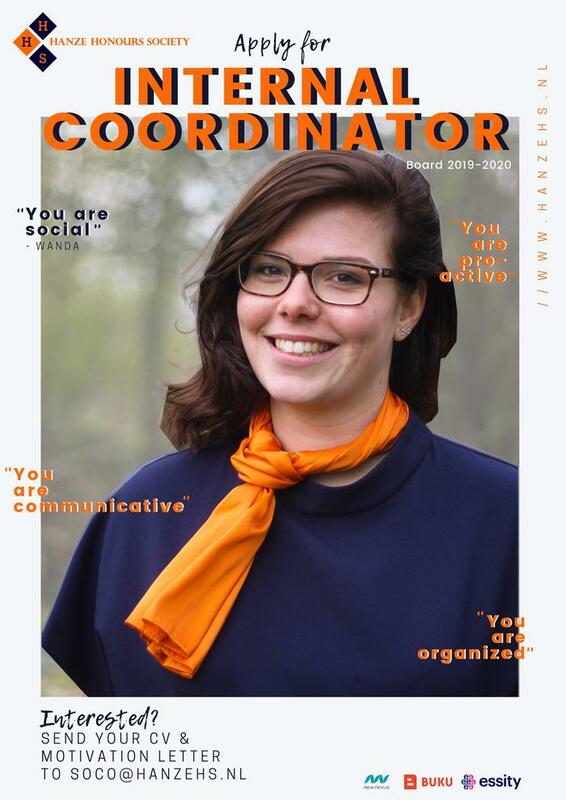 Apply now for the board 2019-2020 of the Hanze Honours Society! 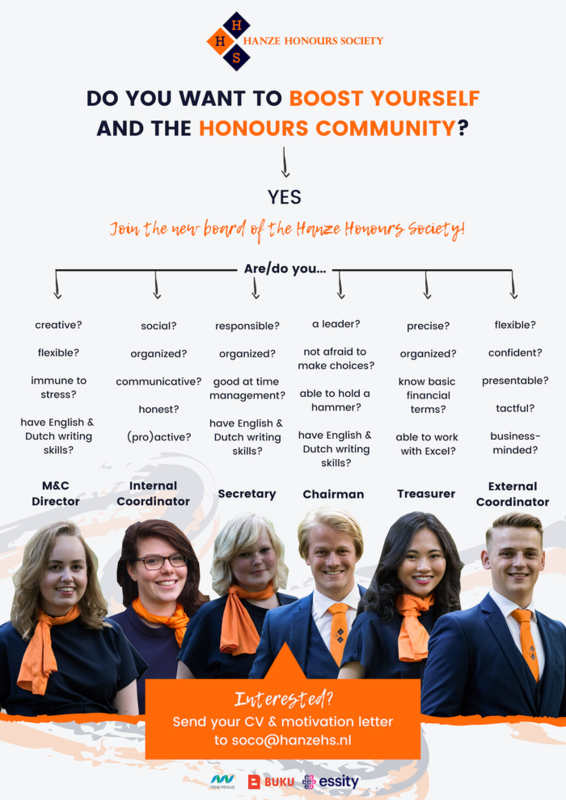 The Hanze Honours Society (HHS) is a student society founded by and for honours students from the Hanze University of Applied sciences. 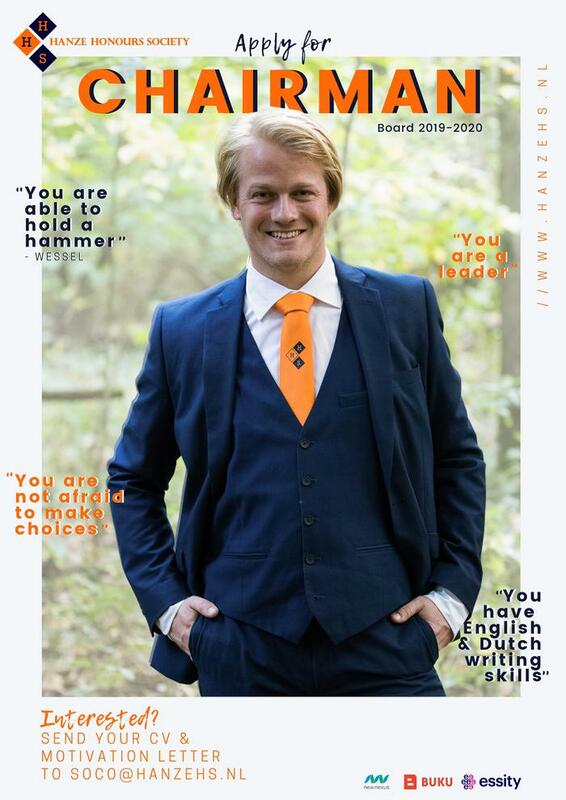 The HHS is unique in the fact that it is a student organization that reaches different schools at the Hanze and connects these students with each other. The aim of the HHS is to provide a platform where honours students of different studies can find and help each other. 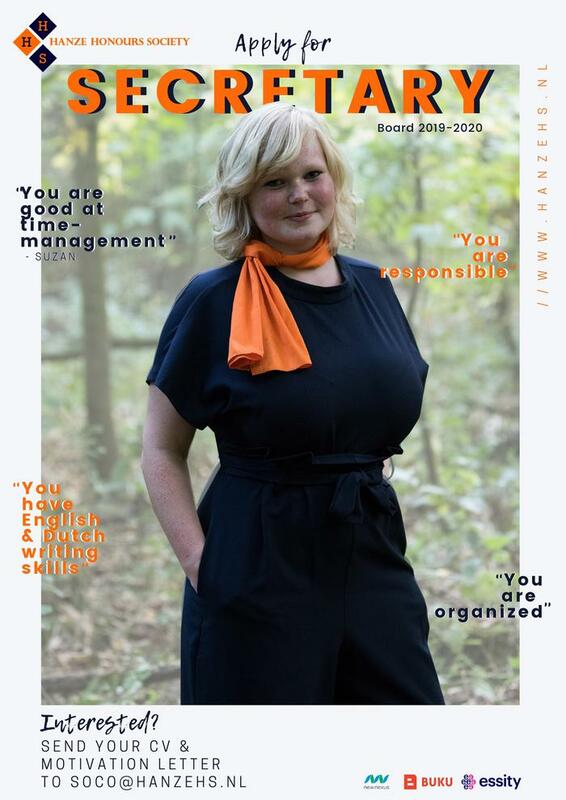 The HHS was created in order to strengthen the community of Hanze Honours. 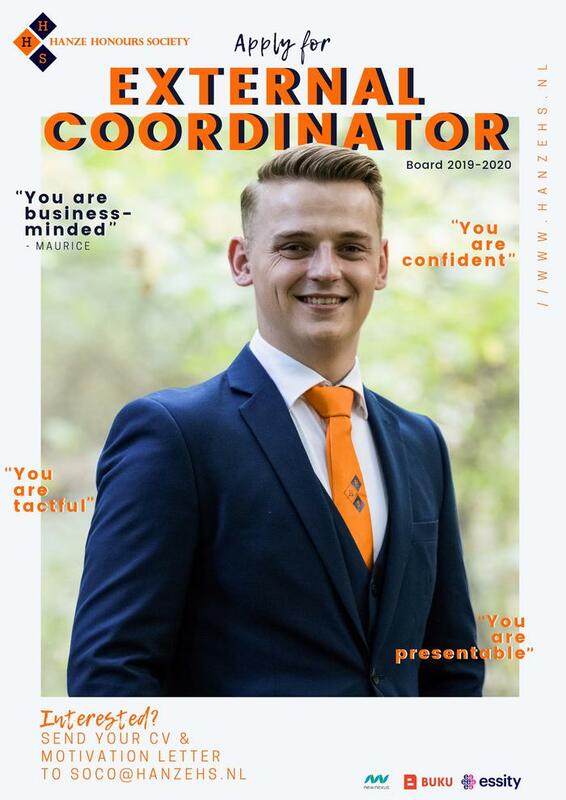 To achieve this the Hanze Honours Society will serve as a platform upon which honours students can communicate in both a formal and informal setting. 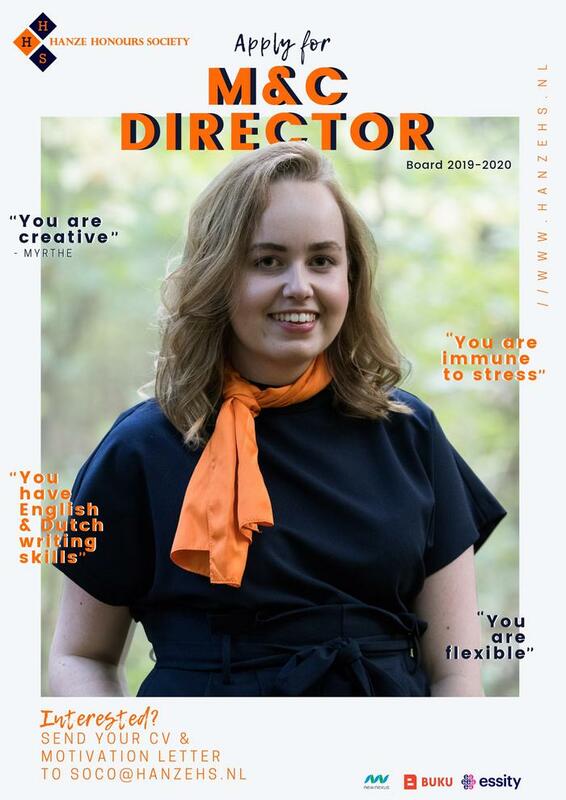 Through this platform honours students can inspire and motivate one another. 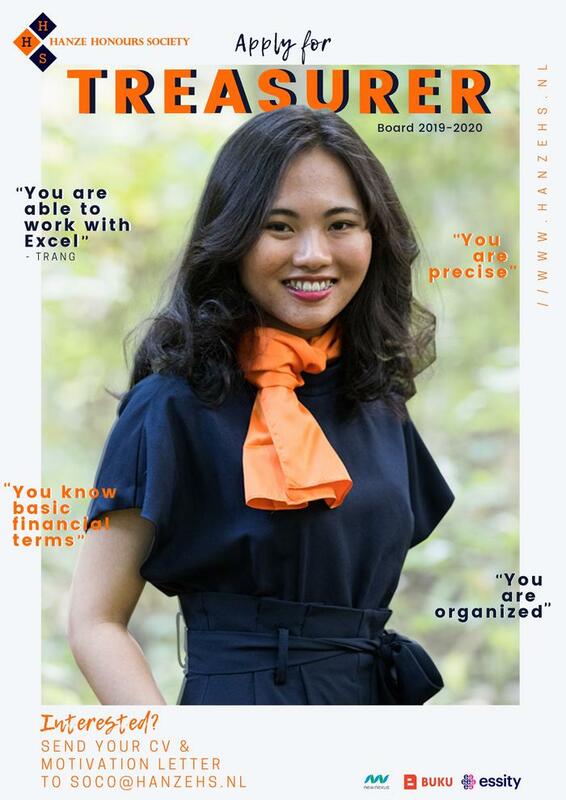 In addition to being a platform where honours students can meet each other it is our aim to make it clear to honours students and the workfield what honours is and how it improves students who follow a Honours Program. ​The HHS organizes a variety of formal and informal activities. These activities include but are not limited to educational activities such as lectures, workshops and company visits. Furthermore there will be informal activities, for example: parties and cultural events. Interested? Become a member or send an email to the secretary for more information.